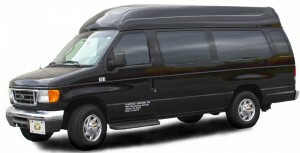 A-National Limousine has one of the largest limo fleets in the Southeast operating more than 50 limousine vehicles to accommodate any number of passengers. Our fleet consists of luxury sedans, town cars, SUVs, vans, executive vans, minibuses, party bus, limousines and luxury motor coaches. The Fleet Manager ensures that all vehicles are cleaned daily and well-maintained. All vehicles are inspected daily for safety and equipped with bottled water and the USA Today Newspaper. Our vehicles have GPS tracking devices allowing vehicle tracking in real time. A-National Limousine is one of the few limousine companies that have an on-site automotive repair shop and is operated by a professional licensed mechanic. Our computer-based software assists the mechanic in keeping all vehicles in optimum condition, as well as notifying the mechanic of specific services needed to ensure continued optimum performance. Our vehicles have current permits, are properly insured and licensed according to our industry regulators. We refer to our drivers as “chauffeurs” because they are more than drivers. Our strenuous training program spotlights customer service, safety and professionalism. 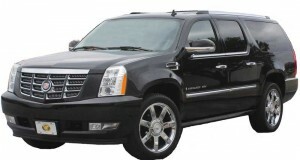 The A-National Limousine Chauffeur will give you recommendations on dining, night life and other attractions or interests. Professionalism and cleanliness are the guiding principles our chauffeurs display with pride. Hence, for your special occasions, our chauffeurs are outfitted in tuxedos to add a touch of sophistication and class to your event.